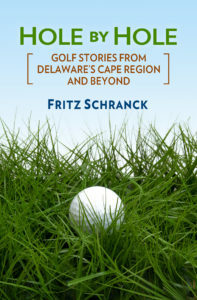 The official golf season started at Cape Region country clubs this month. It’s tied to the fact that scores used for handicapping only count between April 1 and the end of October. Each club celebrates spring by holding seasonal opening tournaments for their members. This week describes the local action completed thus far. The showers and storms that have made this one of the greenest and wettest springs in recent memory have also wreaked havoc with event schedules. The northernmost golf club in the Cape Region scheduled its opening breakfast tournaments on the weekend of April 15-16, 2000. The ladies were to go first on Saturday, April 15 in a 9-hole event. Unfortunately, the day’s steady rains ruined that idea. The next day’s weather improved, and the men took over the course for their opening breakfast tournament. They played a scramble format without handicaps, using a random draw of contestants to form the teams. The turf at Shawnee drains better than most Cape Region courses. Nonetheless, the previous day’s rains forced club superintendent Steve Zeveney to dictate that the golf carts had to remain on the newly paved cart paths. He was right. Cape Henlopen High School teacher and volunteer golf coach Bob Keeney celebrated spring by joining fellow members Bob Burd, Rich Phillips, and John Aiello in first place with a net 62. The team of Frank Martin, Curt Rayner, Bill Turner, and Ron Raver finished one stroke back. Kings Creek Country Club held its men’s opening tournament on Saturday, April 8. Each member paired up with another member for a chance to win under better ball rules, in both gross and net categories. Howard Richardson and Tom Baker took low gross honors with a 75. Jim Holdridge and Joe Cormorat took second gross with their combined 77. Mark Robino and Phil Durney won low net with a scintillating 61. John Purple and Kevin Fisher were one stroke back for second place. The Kings Creek women players are scheduled to play their opening tournament this Sunday, April 30. The gang at Cripple Creek Country Club got their season underway on Saturday, April 22. They competed as individuals in gross and net categories, using 100 per cent of their handicaps. Ellen Stephens took low gross honors, followed by Judith Reidy for second place. Annick Larson won low net, and Nancy Palmatary’s round was good for second spot. Chris Nacrelli won first place in the men’s gross category, and Harry Steele took second. Michael Fluharty’s play “netted” him a first for the event, just beating Jeff Mumford. . The oldest private country club in the Cape Region began its members’ tournament season with the 9 Holers Ladies event on April 14. Dot Taylor, head of the group, said, “We played through the sprinkles in a scramble format.” The winning team included Taylor, Betty Lou Hayes, Bea Ekdahl, and Adelaide Auwarda. The 9 Holers will combine with the 18 Holers for a joint tournament on May 2. The men at Rehoboth are to play their opening tournament on May 11. The Sussex Pines men are hoping to play their opening tournament tomorrow, April 29. It will be a scramble format, with the computer selecting A, B, C, and D players for each team. Booth expects between 70 and 80 competitors. Good luck to the No. 1-ranked Cape Henlopen High School golf team in their May 2 match with No. 2-ranked Dover at Maple Dale Country Club.